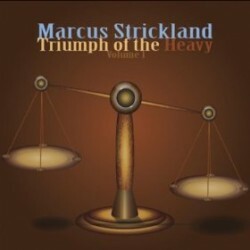 Saxophonist Marcus Strickland’s latest recording is Triumph of the Heavy (Strick Muzik, 2011), a 2-CD set that features a live trio performance and a studio session by his new quartet. In this interview, Strickland talks about why he added piano to his band; his awareness that he’s playing for other people; and the difference between the tunes he writes in the fall and the tunes he writes in the spring. Learn more at marcusstrickland.com and follow him on Twitter at @marcustrickland.